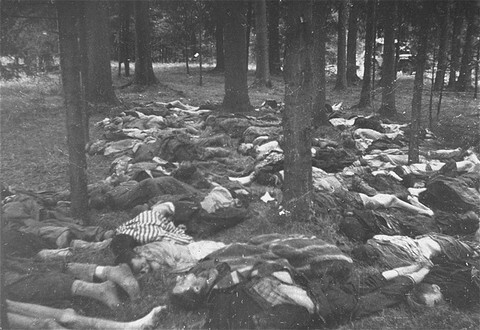 Corpses of prisoners killed in the Gunskirchen camp. Gunskirchen was one of the many subcamps of the Mauthausen camp. It was liberated by US forces in early May 1945. Gunskirchen, Austria, photo taken between May 6 and May 15, 1945.